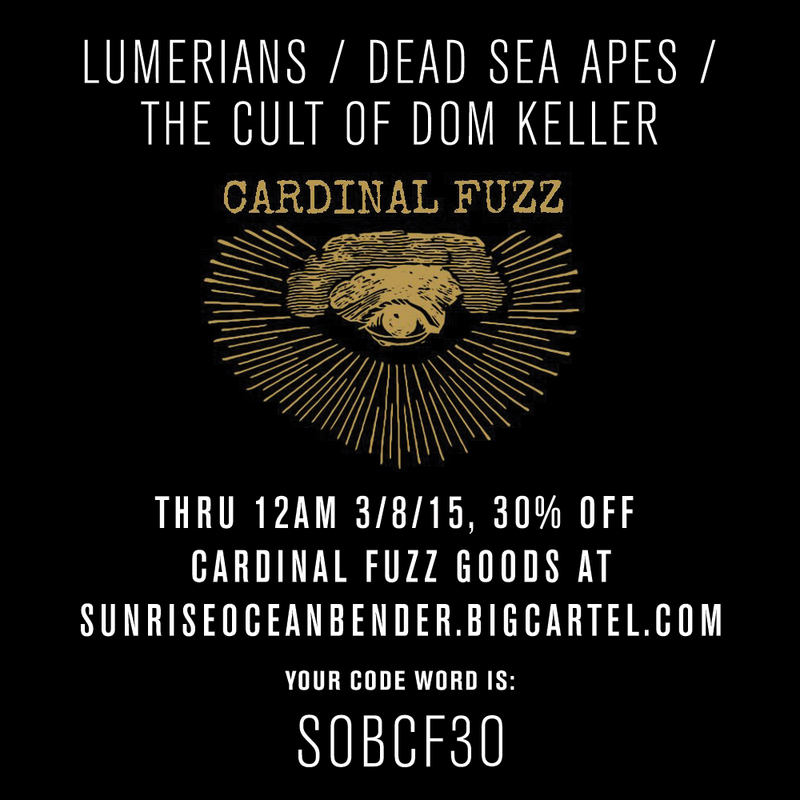 A little Spring cleaning early … until 12am 3/8/15 get 30% off Cardinal Fuzz releases at the store: “High Evolutionary” from Dead Sea Apes, “The Second Bardo” by The Cult of Dom Keller and “Transmissions from Telos Vol. III” courtesy of The Lumerians. Your code word at checkout is SOBCF30.